A few users began reporting on Reddit yesterday the return of popular alternative media player app VLC to the iOS App Store. The app, which arrives as a 2.4.1 update including iPhone 6 and 6 Plus support, is still rolling out to all users and currently shows as unavailable in the App Store for most countries, although some users who had previously downloaded the app before its removal have been able to access the new version through their purchase histories. VLC for iOS was pulled from the App Store around the launch of iOS 8, and the company never officially commented on the reasons behind the mysterious disappearance other than saying it was "working with Apple on a solution." In late December, the company confirmed the app would return to the storefront in "early 2015." The updated app, which allows users to use and watch many non-iOS friendly media files, sees the inclusion of folder support, passcode lock, and optimization for the larger screen sizes of the iPhone 6 and 6 Plus amongst other updates. The app is rolling out to a select few countries first, and is expected to be made widely available to U.S. users soon. VLC previously saw nearly a three-year hiatus from the App Store when it was taken down in 2010 thanks to licensing issues, finally returning in the summer of 2013. It should be noted that this 'update' is severely crippled. No support for Dolby/AC3 means VLC is pretty much useless for most mkv movies. 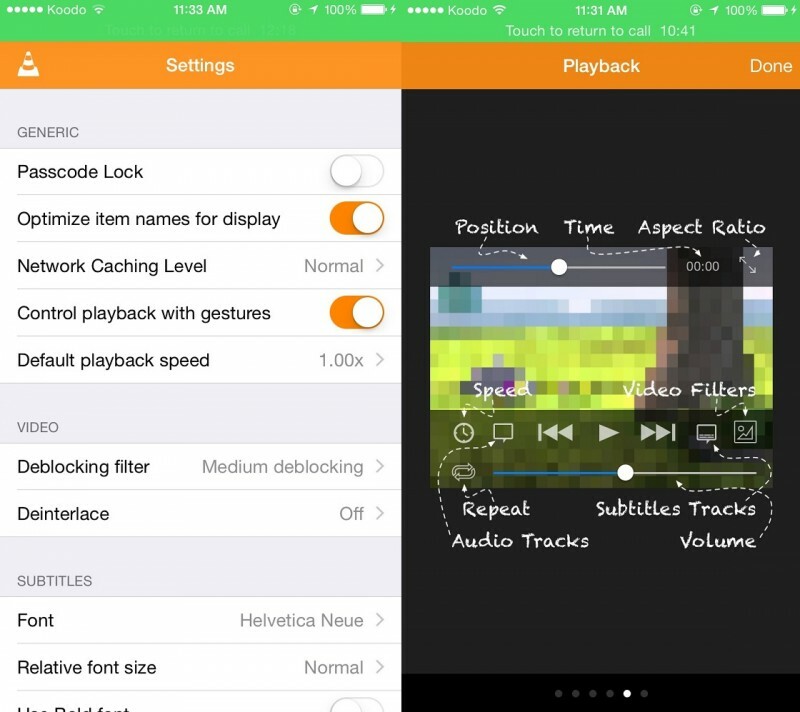 I quite like Infuse as an alternative choice to VLC. There's better apps, like Infuse, available now. This is one of the ways that App Store policy is crippling iOS, and I hate seeing it. Other platforms can have VLC just fine. The licensing issues are between the author and the license holders, but we can continue to use the software while it's worked out. With iOS, Apple is happy to pull the app at the first sign of a license dispute, and we are denied access to the software. So we end up with crippled garbage like this in the app store because of that. I love iOS for many reasons, but utterly hate this issue. The ability to legitimately sideload applications would turn iOS from a great operating system to an absolutely amazing one. I know, it'll never happen, but one can wish, right? You guys are way off topic. Has anybody found a workaround yet to getting the AC3 audio to playback? You pay 10 dollars and also get to play DTS-HD, which is really not a bad deal. Update, Monday 12:20 PM ET: The company has responded, and confirms that the release is, in fact, legitimate, but say this is only a partial rollout for those who have downloaded the app in the past, allowing them to test everything works. So this is not the general release for iOS, because most people will not be able to download it, VideoLAN president Jean-Baptiste Kempf tells TechCrunch. The company did not say when the general release is expected, but hinted that there is some news related to iOS (and more) expected this week. It's called patents. This is why we can't have nice things. And why we have many nice things. Sure, you use other apps.